Acuvue contact lenses have taken the world by a storm. These contact lenses are a world apart from the normal lenses that we find in market. Acuvue lenses are comfortable and convenient to wear. Technically, contact lenses are a substitute for the old age glasses. These are little pieces of plastic which provide us with clear vision and confidence. First made in 1887, contact lenses have come a long way from being made from blown glass to hydrogel and polymers. 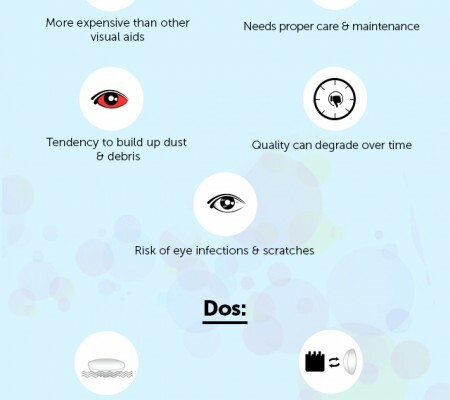 Today, contact lenses have become an integral part of a wearer’s life. Be it a teen, a mid-age person or a senior citizen, a person looks considerably better with contact lenses rather than staid spectacles. This decade has also brought a tremendous change in the technology used in making contact lenses. Acuvue lenses are the product of this latest technology. With a wide range of products, Acuvue has become the world’s first and largest producer of disposable soft contact lens. These disposable lenses have made the process of wearing contact lenses more convenient and relaxing. Acuvue lenses have transformed a lot since their first launch. All Acuvue lenses nowadays are made from hydrogel and silicone hydrogel. These materials allow oxygen to pass through the lens and let the eyes breathe. 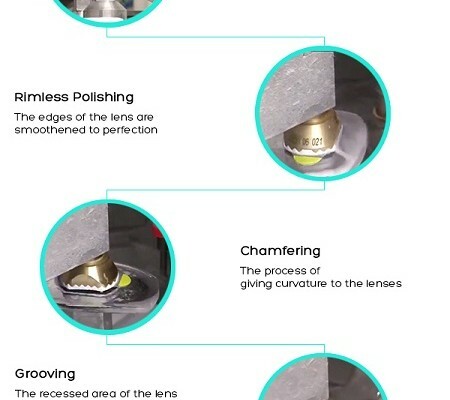 Over the years, Acuvue lenses have changed the way we look at things. This technology treats presbyopia in an innovative manner. Rather than making the individual wear long distance lens in one eye and short distance in another, Acuvue, through stereo precision technology has come up with lens that makes a person see far, near and everything in between. If you are suffering from the presbyopia condition, Acuvue lenses are there for you. Hydraclear Technology combines the silicone hydrogel with the wetting agent which makes the Acuvue lenses more breathable. Due to this technology, the person wearing Acuvue lenses will never have tired eyes nor do they have to hydrate their lenses and eyes after every few hours. Another form of this technology is Hydraclear plus, in which more wetting agent is used which keeps the eyes fresh and allows them to breathe despite the lens. Acuvue lenses with Lacreon Technology are smooth lenses with incredible moisture retaining capabilities. Unlike other contact lenses, Acuvue lenses with Lacreon Technology preserve the moisture content of the lens every time we blink. So rather than having tired, dry eyes, Acuvue wearers have fresh and comfortable eyes at all times during the day. Acuvue lenses are disposable lenses and are available for every lifestyle. These lenses correct Presbyopia and Astigmatism due to their blink stabilized design. As you wear a fresh Acuvue lens every day, there is no need of having a saline solution. 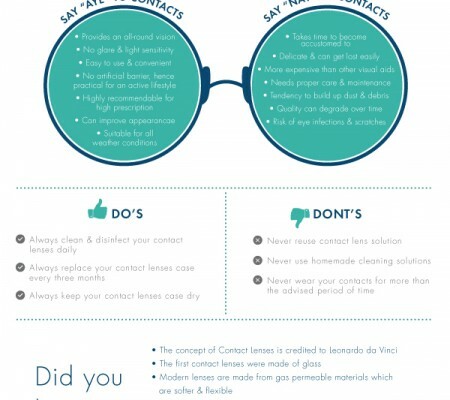 Acuvue lenses are comfortable, convenient and sterile. These lenses correct age-related vision problems that lead to blurred vision and problem of seeing things up close or at a distance. Acuvue contact lenses are for all. Try them on and you would never forget the experience.